Whoever finds the legendary treasure One Piece will become the King of the Pirates. After being inspired by a pirate named Shanks, village boy Luffy dreams of setting sail and obtaining One Piece. Luffy only has a few obstacles in his way: he has no boat, no crew, and he can’t swim thanks to a fruit that turned his body into rubber! Well, almost a year ago, I counted down to Christmas with Fruits Basket. 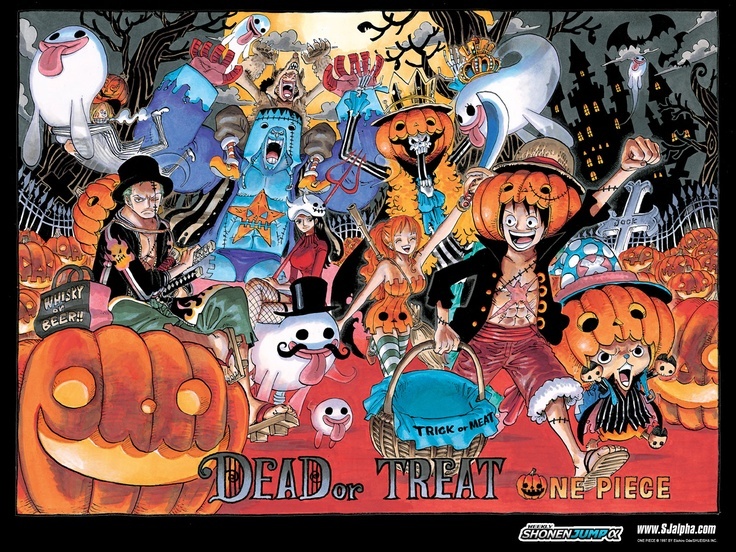 This time, I’m counting down to Halloween with One Piece! I hadn’t been to the library in a great while. I know my local library carries manga, but, quite frankly, my collection is bigger. I’ve been wanting to check out One Piece, but someone kept beating me to it. Finally, though, I can start my journey. So, unlike Fruits Basket, these entries will be more of a quick reflection on each volume. Since the omnibuses are three in one, I plan on each post to cover three volumes. This should strike a good balance between length and manageability. Unlike Fruits Basket, this one won’t be closed. One Piece is still going on, so I’ll be adding more entries as new volumes are released. So the “31 Nights” is a bit of a misnomer. If you do choose to follow along with the countdown, the day after this set is completed, you can go get your copy of One Piece Volume 80! Double countdown! Don’t worry. I have something special lined up for the last few entries. Let’s count down to Halloween and the next volume with a group who is always ready to cosplay. Reasons for doing a diaries series for One Piece: #1, #2, #4. I wish my local library carried manga. The books they have are older than a pirate treasure. I am really lucky. My local library doesn’t carry manga (or at least they haven’t in years), but long ago I was allowed to get a card at a neighboring city’s library even though I technically wasn’t allowed.